When it comes to having successful blog, building a regular readership is crucial. To get that readership, many marketing experts recommend optimizing the blog for search engines. While this is good advice, search engine-friendly content isn’t always reader-friendly and vice versa. 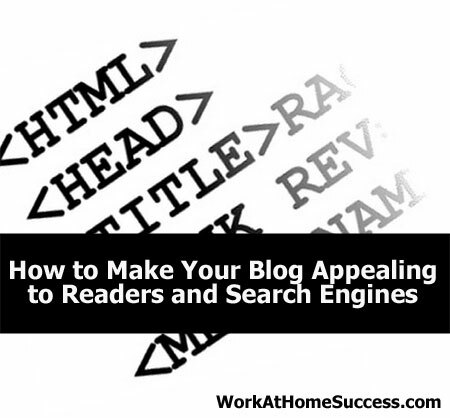 However, there are a few tricks you can use to appeal to your readers and search engines. Keyword search lets you know what search terms people are using to find your content. It’s also what search engines pay attention to when ranking blog content, so you want to start with the top keywords related to your topic. When you have an article idea, use the keyword in title, blog post URL and within the content. If one of the top searches on losing weight is “Fat Loss”, then you can have a blog post titled “Five Easy Steps to Fat Loss” with a blog URL yourblog.com/five-easy-steps-to-fat-loss (Many blogs platforms will automatically convert your title to URL, but in WordPress, you need to set it up in the permalink settings). Your article should use the keyword “fat loss,” as well as it’s related keywords (i.e. lose fat). Finally, you may want to add a header tag (in WordPress header tags are listed under “Paragraph”), which search engines also use to index content. The problem is that sometimes your keywords don’t lead to interesting sounding titles. So while a search engine may like the title, a reader might not be drawn to it. One option is to have a reader-friendly title, but change the URL title to something search engines will prefer. This would allow you to have a title like “How to Deflate Your Middle’s Spare Tire” with a URL of yourblog.com/fat-loss-tips. Finally, your content needs to be reader friendly. Have you ever clicked on a search engine result that seems to be exactly what you’re looking for, but when you get to the content it makes no sense even though it’s using all the keywords? By by optimizing for search engines only, you’ll likely end up with boring, dry and even nonsensical content.You don’t want to be like that. You want a combination of reader-friendly and SEO-friendly content. You want to use your main keyword, as well as related keywords in your articles. You want to deliver the content your reader-friendly title has promised.